Even though 2013 is not over and there are plenty of races to be run I want to give you a sneak peak into my 2014 race schedule as of right now. More will be added as time goes on! The first race I will be participating in is the Joggermom Frosty Fun Run Virtual Half Marathon! This virtual run takes place from January 15th- the 31st. All you have to do is complete 13.1 miles in the allotted time and you get the chance of winning AWESOME prizes, as well as an awesome finishers medal! Early registration opens tomorrow (November 13th) so sign up early and add this virtual race to your list!!! If you have not already added Joggermom to your list of Facebook friends please do- updates and important info is posted there! You can sign up for this race at the eventbrite page- be sure to list me as the person that referred you – THANKS! This running festival features a 5k, 10k and a 1/2 Marathon. It is a flat and fast course with beautiful scenery! There is an after party hosted by a local brewery which is bound to be a great time. Sign up now and save before the price increases again! This is a great race to sign up for and then train through the winter & spring months. Even though May seems so far away it will be here before you know it! I am looking forward to running a FLAT half- I have never experinced one before and CANNOT wait! Sign up and use the code AMBKRISTENJO and save 10% off any distance race! It is sure to be a great time! 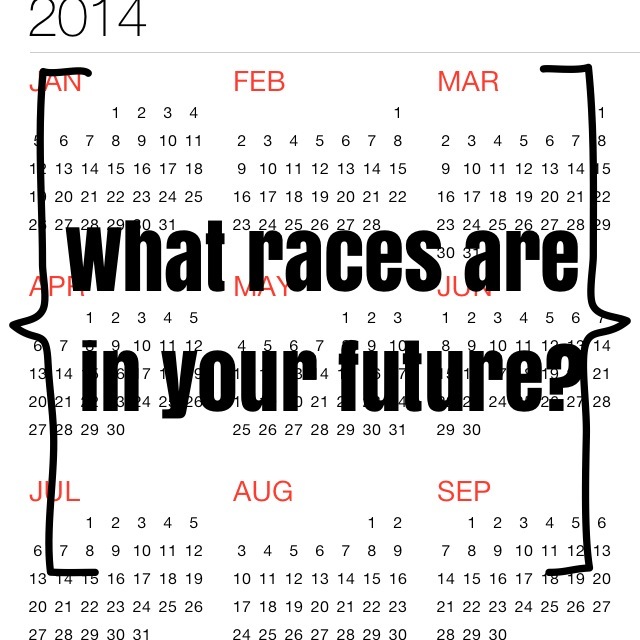 Do you have any 2014 races planned yet? I am hoping I will be able to add the Nike Women’s Half in DC to the list as well, but will not know until December… until then 2 definite races are on my calendar! Previous Post #mondaynightmiles football running challenge!